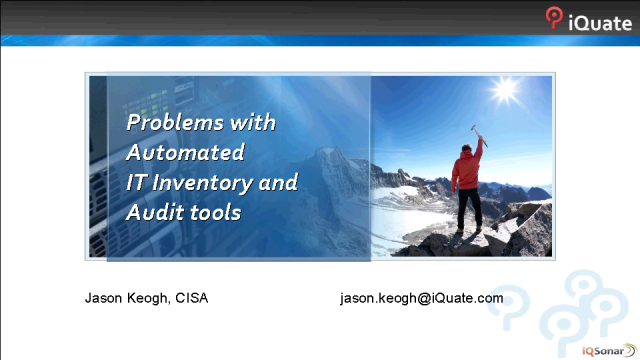 Traditional IT inventory and audit packages are invaluable for analyzing risk across the IT estate. In effect they widen the audit universe. However, how much trust can be placed in the data they gather? These tools can form the foundation for expensive IT business decisions (license management, infrastructure refreshes, etc.) however if the information is incomplete, out of date or inaccurate they bring their own set of risks. This session will discuss problems with traditional audit tools and potential controls and alternatives.